The physios at Midlothian Physiotherapy LLP are all passionate about health and wellbeing, if we weren’t we wouldn’t have chosen our profession. We all play or participate in the particular sports or activities that we enjoy on a regular basis. For us a successful treatment outcome is not just the reduction of symptoms, but a return to full function as well. As discussed here, physical exercise and activity has a myriad of beneficial effects on both physical and mental health. 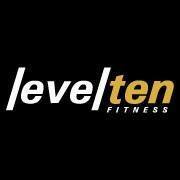 Therefore we are delighted to announce that we have established a partnership with Level Ten Fitness. Level Ten Fitness is based nearby in Mayfield and is Midlothian’s only functional fitness centre. We are planning to work together, not least in running joint staff training or CPD(Continuing Professional Development). To ensure that the staff in both businesses are offering as high quality, professional, efficient and effective a service as possible. Recently we ran a joint CPD session looking at adherence. Adherence refers to the degree to which a client or patient follows the advice that their coach or physio gives to them. Clearly both personal training or physiotherapy are only going to be optimally effective if our clients follow the advice that is given. We discussed the factors that adversely affect adherence and those that positively affect adherence. We then talked about the things that we can do to make it easier for our clients to follow our advice. For example by discussing treatment plans and approaches with clients or patients to ensure that we minimise potential barriers, that we meet the individual’s needs and expectations and that our suggestions are realistic and sustainable. If you are a physiotherapy patient looking to improve your level of fitness or strength once you have been discharged from physiotherapy, we will liaise with our colleagues at Level Ten Fitness to arrange your referral onwards. They will then contact you to arrange an initial consultation to discuss your aims and objectives. Similarly if you are a client of Level Ten Fitness and you are experiencing any common issues such as low back pain, shoulder pain or have sustained an acute sports injury, such as a sprained ankle. Please don’t hesitate to contact us, mentioning that you are a client of Level Ten Fitness. This entry was posted in News, What we have been up to. Bookmark the permalink.